It just seems right. A perfect fit. 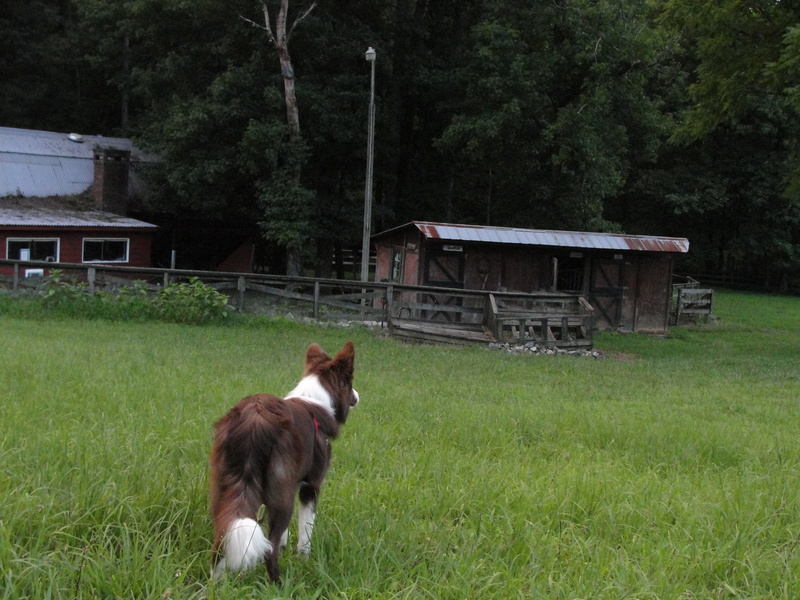 And then a border collie running in a pasture. Well, that’s just a thing of beauty. 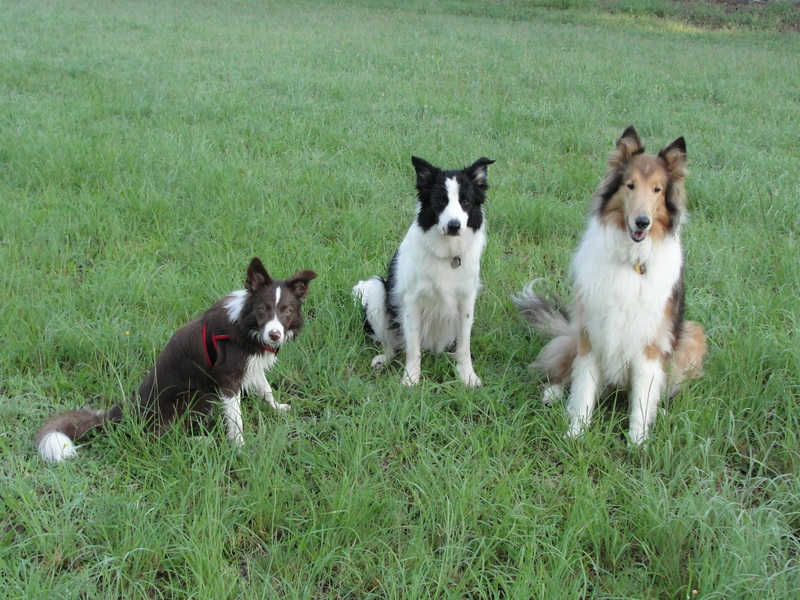 We spent the weekend with my parents, so the dogs had lots of fun playing in the pastures. 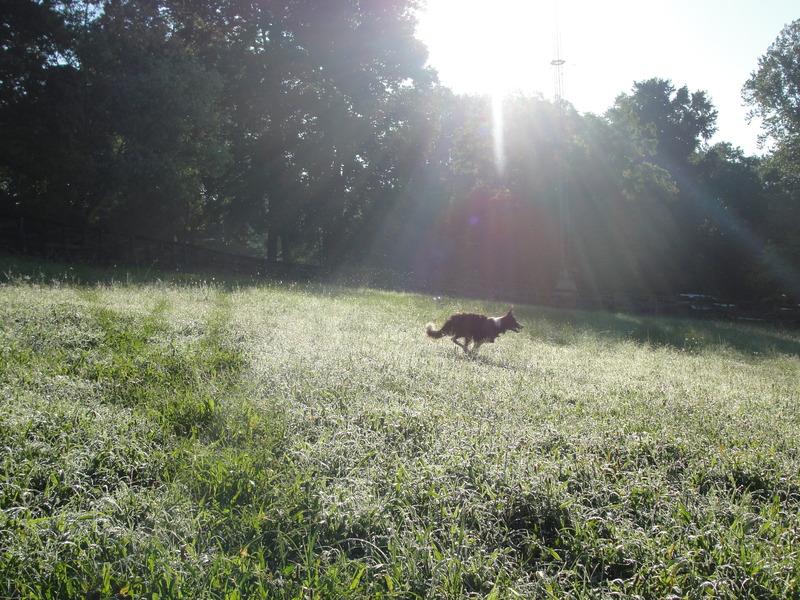 We’ve been seeing more early mornings the last few weeks because of the hot hot weather. Phenom loves running. The look on her face. That’s pure joy. 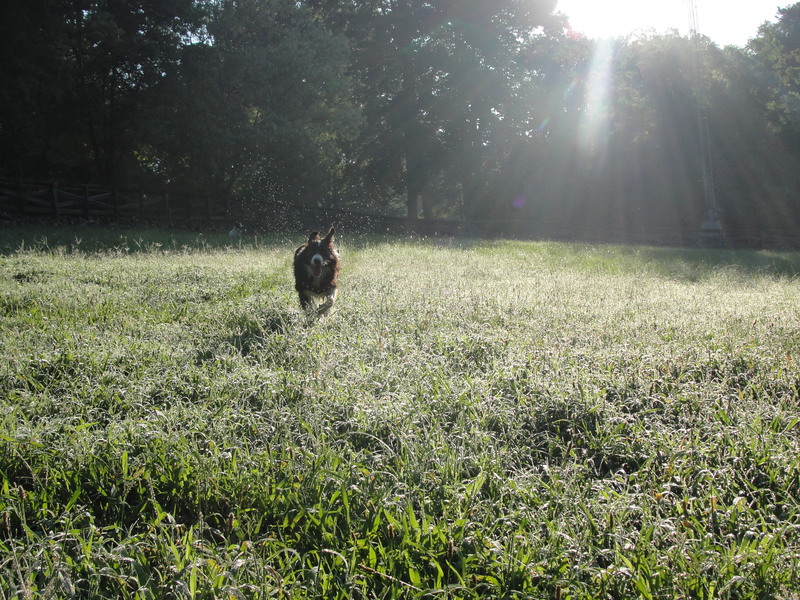 So this morning in the high grass of the upper pasture, the hay seeds were flying, the dew was spitting, the light was casting and the dogs – well, they were racing. Lucy, my Border Collie, Black Lab mix loves to run! I take her running with me almost evert day and it is a thing of beauty when she streaks up our hill. Pure joy! What a lucky girl! 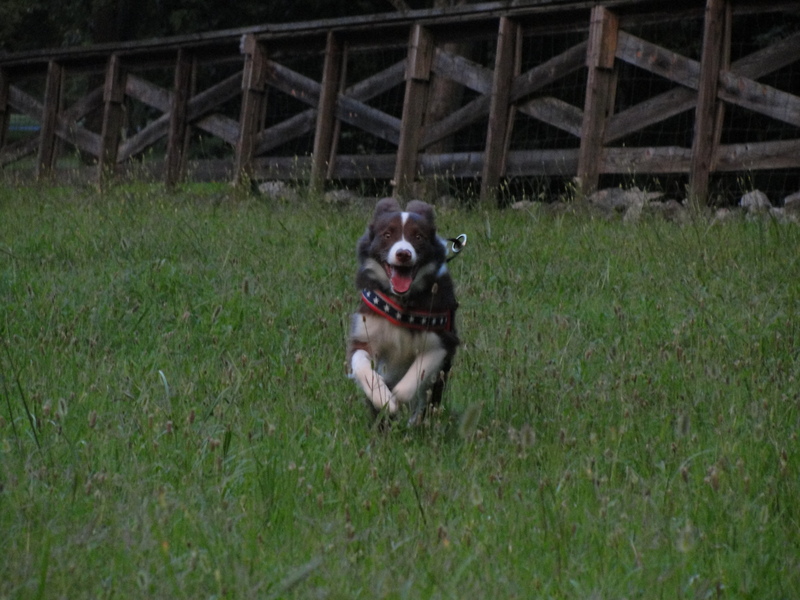 Yes – it is lovely to see them running full out!